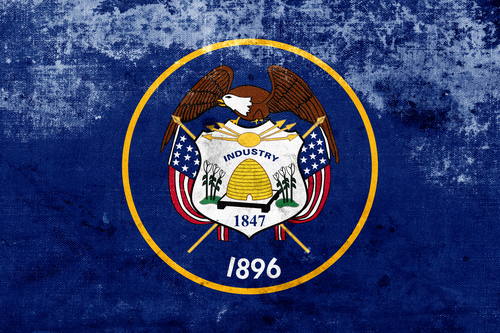 Utah high risk payment processing is in high demand, as the state is home to some of the most influential and successful direct sales and MLM companies. The network marketing industry in Utah continues to rapidly expand, with more startups launching every day. Many of these organizations – from startups to well-established businesses – are quickly dismissed by traditional banks and merchant services providers because of the high risk nature of the business. These business models are often maligned in the media as “get-rich-quick” schemes, but in reality, are growing and thriving companies based on solid business and marketing tactics. MerchACT has a deep understanding of these business models and almost 15 years of experience helping direct sales, MLM, and network marketing companies – along with other high risk models -get stable, reliable and affordable merchant accounts. We partner with domestic and international banks that have experience working in the high risk sector and are open-minded about these outside-the-box business models. Our strong banking relationships allow us to provide flexible merchant accounts at reasonable rates for our clients. Some merchants come to us for help with Utah high risk payment processing after facing the harsh reality of working with other merchant services providers. They have been terminated or face outrageous fines and fees with their current payment processors and are looking for a more feasible, fiscally responsible alternative. While traditional banks and merchant services providers are not comfortable with fluctuating sales volume and hyper growth activity, MerchACT embraces this sign of a successful business. We help merchants with high volume get placed with a merchant account that can support unpredictable sales patterns. We don’t lean on volume caps or high fees but provide flexible and scalable options to our clients. Merchants in the high risk sector often experience a higher-than-average rate of fraud and chargebacks. Companies that grow quickly can come under attack from fraudsters looking to skim off the top. They can also run into customer service issues as they scale that may increase chargeback ratios. We provide the right combination of fraud prevention tools and strategic guidance to keep fraud and chargebacks under control and we work with your internal teams to ensure that processes follow best practices to reduce unnecessary chargebacks. As companies scale, many look to international expansion to widen the consumer base. There are many considerations, including supply chain logistics, shipping, and staffing. We help our merchants optimize and streamline payment processing, so they can focus on the core business issues with international expansion. Our team provides insights and strategic counseling on multi-currency, currency conversion, and local alternative payment methods so you can get set up for success. MerchACT is your partner in payments. As a partner, we task ourselves with understanding your business model and unique needs, inside and out. From there, we create a strategic plan to help you streamline processes and optimize transaction processing. In addition to setting you up with our PCI-compliant gateway, we help you layer the right set of fraud prevention and risk mitigation tools for your business. Our experienced advisors augment your internal team and provide guidance on chargeback management, ongoing PCI compliance, fraud prevention, and any other payments issues that arise. We always pair our Utah high risk payment processing solutions with a payments advisor that acts as an extension of your internal team. In this way, we cover the entire spectrum of payments, from start to finish. This combination allows you to keep your focus on the core business – and growth. MerchACT makes the perfect partner for merchants in need of Utah high risk payment processing. We tailor our end-to-end solutions to the unique needs of your business. Whether you are a direct sales, MLM, network marketing or other high risk company, our customized solutions and team of experts can work for you.